On Friday 26 October Transport Minister Jo Johnson MP delivered the following Written Statement to Parliament, setting out measures the Government are undertaking to ensure momentum is maintained behind the delivery of London’s mega-project Crossrail. “On 31 August 2018, Crossrail Limited, a wholly-owned subsidiary of Transport for London (TfL), announced a delay to the planned opening of the Elizabeth Line. “Discussions between TfL and government are underway as to how any additional funding will be provided, with London – as the primary beneficiary of Crossrail – bearing any additional costs via a financing arrangement. 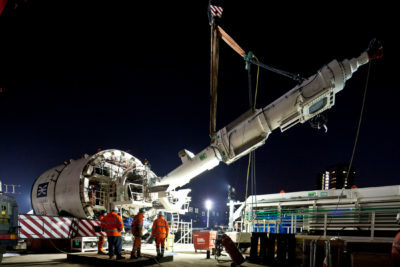 “TfL and the Department for Transport have commissioned an independent review of Crossrail’s governance and a separate review on Crossrail’s finance and commercial position. “Today (26 October 2018), as an interim measure, we are announcing that £350 million of short term repayable financing will be made available to the Mayor for the year 2018/19. This will ensure that full momentum is maintained behind Crossrail. “This project is already delivering benefits for the whole of the UK through its cross-country supply chain and its UK built train fleet. When open, Crossrail will be transformative and carry up to 200 million passengers a year, delivering £42 billion of investment into the UK economy. CECA welcomes this development and looks forward to when this transformational project opens next year.